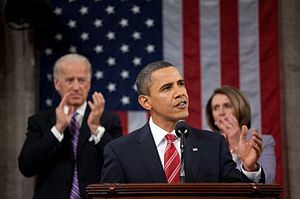 In his State of the Union Address, President Obama barely touched on the country’s soon-to-be $16 trillion national debt, massive joblessness, entitlement insolvency, economy-crippling government regulations and the other compelling issues (“Obama targets economy, taxes in address,” Jan. 25). Sounding like an Occupy Wall Street interviewee, he once again attributed virtually all of the country’s ills to the supposed failure of “millionaires and billionaires” to pay their “fair share.” Specifically, he is troubled that those with the greatest income pay only a 15 percent tax rate on their long-term capital gains and proposes that their rate be doubled to 30 percent. The president’s position is as fatuous as it is incoherent.